Are you planning to buy your dream home? Buying a home may not be always possible with ready cash. Home loans provide us an opportunity to own a home without having ready cash. However, we have seen many individuals who does not look at the features of home loan and later blame the banks or financial institutions about features which they do not know and “hidden” terms and conditions. It is better to understand the factors which may influence the decision of taking the home loan from a bank or financial institution. 1) Prefer home loans with low interest: All of us will accept the fact, is looking for home loans which come with low interest rates. During festival seasons, several banks in India offer home loans at discounted interest rates which are an opportunity for us to grab it. 2) Fixed or floating rate: Your monthly EMI's would be higher if you go for fixed interest rates as they would be offering at very high interest rates. They would be preferred when interest rates are very very high. Hence currently, there is no second thought except for going for floating interest rate. 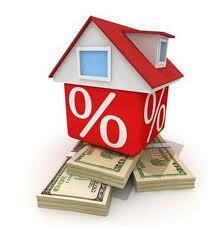 3) Interest rates trend: Look for interest rates trend when you have decided to take the home loan. If the interest rates have drastically increased in the short period, you need to revisit your decision. Because such large abnormal market conditions can increase your future EMI and you may have to struggle to make the EMI monthly payments. 4) Processing fee: Generally banks or financial institutions charge processing fees up to 1% of the home loan disbursed. Look for the bank which charges low processing charges or which does not charge any processing charges. You can check such waivers being offered in the banks where your salary is credited or business income is deposited. 5) Increase your down payment: Generally any one going for home loan need to pay 10% to 15% as down payment and banks or financial institution offers 85% to 90% as home loan. Increasing the down payment saves the interest to be paid in the future. 6) Pre-payment penalty: Any partial payments made after taking the home loan, banks were charging pre-payment penalty charges. However with recent guidelines from RBI, a bank or financial institution is not supposed to charge the pre-payment penalty. This needs to be validated before confirming a home loan with a bank or financial institution. 7) Look for terms and conditions before you sign the home loan document: We should read the terms and conditions of the bank or financial institution before signing the document. Major ones include force majeure clause and reset clause on fixed rates. 8) Prefer for pre-payment: Whenever you find some surplus amount, try making the pre-payment for the home loan. Your debt burden would get reduced drastically with this additional step of discipline. 9) Home loan transfer charges: If you are planning to transfer the home loan from one bank to another bank or financial institution, you need to compare the transfer charges among the banks or financial institution before taking the decision. 10) Top-up home loan: In case you are going for Top-up loans on your home loan, check the additional charges you need to process the loan. There can be hidden charges which they would charge once the loan is disbursed. Conclusion: Home loans offer good opportunity to buy home without ready cash. Understand its feature before applying for this to benefit to maximum extent and save money. While writing this article, I have taken inputs from couple of my friends who struggled while taking their first home loan. Thanks to them. 1.What about this company in home loan LIC HFL ….?? compare to HDFC & IDBI?? 2. Which choice is better…. floting rate10.20% & fixed for 10 year 11.25%..?? Can you please write detail article on things to be consider when purchase flat. Sure Vikas. Please post your request on “Suggest a topic” so that I can cover them in next couple of weeks. dear sir, myself working in malaysia. planned to take a apartment in HYD india, for 2650000. of which i paid around 5.50. hdfc agreed to pay 21L.. so total amount with interest wil b roughly around 41L. 2.if yes , wht about the interest. how much interest wil i b paying at the end of 4 yrs . Sekhar, Your concept is good. You can pay and finish off your loan. However note that in early months, your interest would be high. Hence you either clear off initial years or just hold and continue for remaining period. Regd interest, I would not be able to compute and you can check with bank officials about this. They should be able to help you with your plan. THANK YOU VERY MUCH . SORRY FOR THE LATE REPLY .